Prestigious Textiles enjoys a fine reputation as a source of original fabrics and wallpapers for the worldwide home furnishings arena. Season after season, the company’s acclaimed collections develop in exciting directions, driving décor trends both in the UK and overseas. Based originally in Bingley, Prestigious Textiles was founded by Trevor Helliwell in 1988. Today, headquarters is an integrated 75,000 ft2 complex just outside Bradford, with a network of international trading alliances and valued partner companies in Europe, China and South Africa ensuring the PT brand is strong around the world. Yet despite its size and standing, the company has not lost the personal touch. All enquiries, whether from stockists, wholesalers or members of the public, are welcomed with the same warmth, courtesy and professionalism for which the company is renowned. Prestigious Textiles - a specialist company, run by a special team. Yarwood Leather Ltd is a truly British brand producing world class leather and synthetics for seating applications. Specialising in Antique furniture restoration. Eeze Covers by The Loose Cover Co.
B & B Interiors is a family run and owned company based in Yorkshire. We specialise in manufacturing high quality, bespoke, handmade headboards, footstools and soft furnishings for your home at affordable prices. We have worked for several years now to restore many pieces of furniture, some old, and some not so old, we have even copied customers items to reinstate a pair where one half of the pair has been lost or they have become separated through inheritance. We are based in a purpose built centrally heated workshop just outside Yorks outer ring road near to Huntington village. We are equally happy to work in your home to restore or repolish floors, panelling doors etc. Eeze Interiors are a small West Yorkshire business covering the whole UK, we offer a plethora of soft furnishing services. From Reupholstery to made to measure Curtains, Roman blinds, Custom headboards, and tailor made loose covers that fit to perfection. Our business was in the past was predominantly only tailor made loose covers, however we soon diversified into the whole soft furnishings spectrum and with this we decided to change our trading name from The Loose Cover Company LTD. to our new trading name Eeze Interiors, this we feel reflects better the services we offer. We have vans collecting furniture up and down the country on a weekly basis. Our customers save a lot of money with our services because they are coming direct to the manufacturer so can be assured of no middleman price hikes. In our showroom in Brighouse West Yorkshire we have hundreds of fabric samples and books to choose from to include the likes of Prestigious, Clarke&Clarke, Jim Dickens, Simpsons, Covertex, J.Brown, Fryetts, i Liv, Swatchbox , Ross, Porter&Stone plus others. Alongside these fabric brands you can also our work and even view our workshop if required. We welcome customers to call see us in our showroom you will be most welcomed with a nice cup of tea or coffee. Breathing new life into much loved furniture, we offer a quality reupholstery service, for both traditional and modern pieces. Whether you want to revive an antique, or you have a more modern item in need of a facelift, we will provide you with a bespoke piece of furniture to your exact Come visit our showroom or give us a call at 01484 485528! Quarmby Mills, Tanyard road, Oakes, Huddersfield, HD3 4YP. Why should I hire Leeds, West Yorkshire upholsterers? 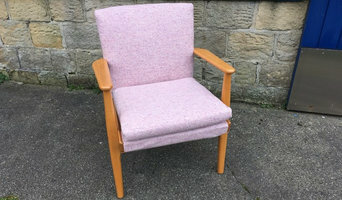 If you’re not quite sure what to do with your old furniture, try taking it to Leeds, West Yorkshire furniture upholsterers and furniture restoration specialists to ask for their advice. Established upholstery services will be able to handle all sorts of fabric upholstery and reupholstery, including leather upholstery, and recommend the fabric that will work with your furniture and design theme. They will also be able to tell you about the durability of the fabric they will use and how to look after your re-upholstered item. 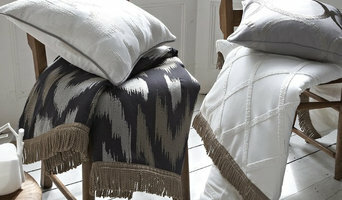 Upholsterers deal predominantly with soft furnishings and furniture, such as sofas, padded chairs and padded headboards. 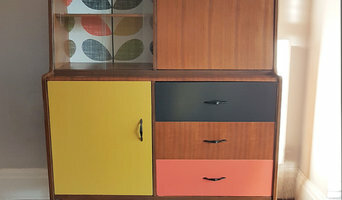 For all other pieces of furniture that could be repaired or restored, there are Leeds, West Yorkshire furniture restoration specialists to help you. They can help you upcycle that outdated sideboard into something modern and stylish, or repair your vintage dresser for you. You may find that lots of upholsterers offer furniture restoration and furniture repairers offer upholstery services, too, but always double check the exact services they offer and if they can help you with your furniture before hiring them. Upcycling furniture saves money and waste, and is ever popular in vintage or industrial styled homes, so consider upcycling any old furniture you find, with the help or advice or a furniture restoration specialist, if you want to add a bit of recycled charm to your home. 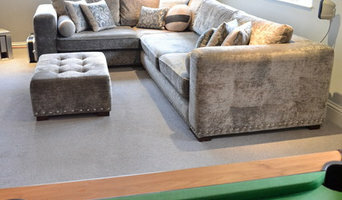 Find furniture upholsterers in Leeds, West Yorkshire on Houzz. Narrow your search in the Professionals section of the website to Leeds, West Yorkshire upholstery and furniture restoration. You can also look through Leeds photos for projects similar to yours, and contact the upholsterers or restoration specialists for information.